School has been in full swing for us for a month, but I know many are just heading back this week. 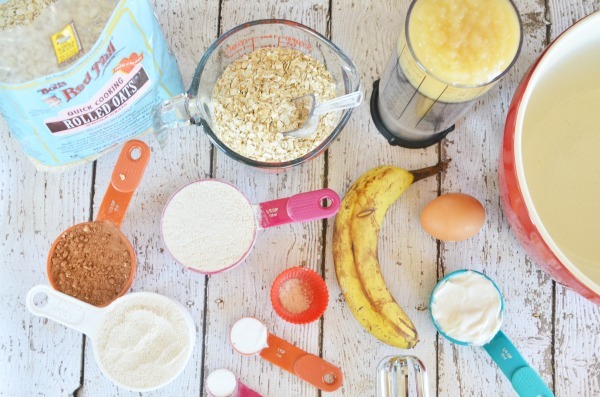 Whether you’re starting the back-to-school routine or in the thick of it already we can all use some great breakfast tips. 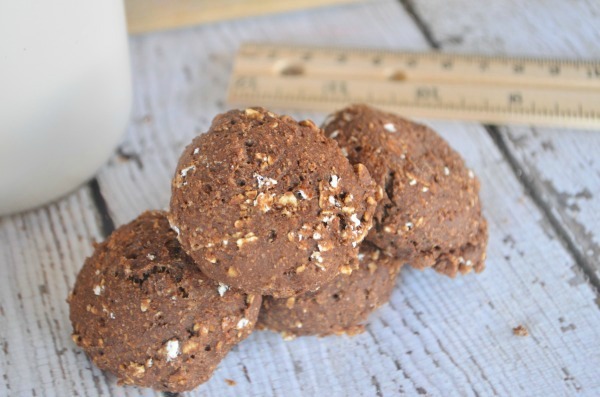 These Chocolate Breakfast Cookies made with Bob’s Red Mill Oats are the perfect breakfast solution. I am definitely not a morning person, but I know breakfast is the most important meal of the day. 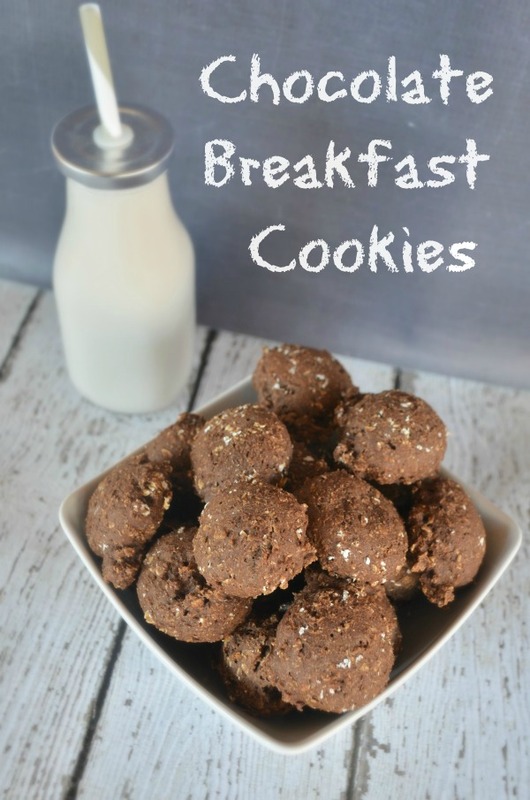 It can be a struggle to get a wholesome breakfast into our kid’s bellies every morning. It’s important to provide those growing minds with healthy energy that sticks until lunch time and thats why we keep oats in the house. 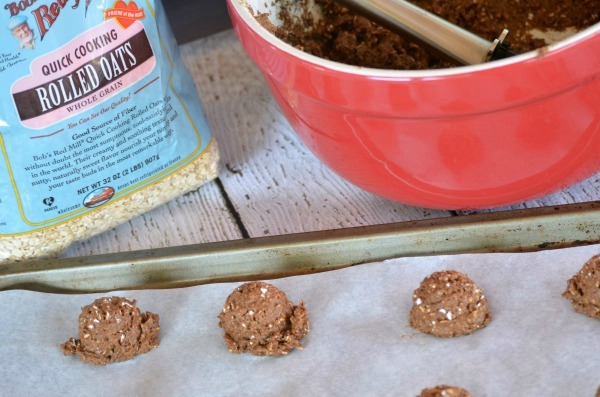 Bob’s Read Mill oats are such a versatile whole grain, perfect for cooking and baking with. Oats are rich in dietary fiber and can also reduce cholesterol. Making them the perfect choice for the whole family. We love keeping wholesome foods on hand that are great pairing with our favorite yogurt in the morning or packed up for those late starts. Bob’s Red Mill has a full line of grains, including Gluten Free Oats that are tested every step of the way to ensure their gluten free status, from farm to packaging. 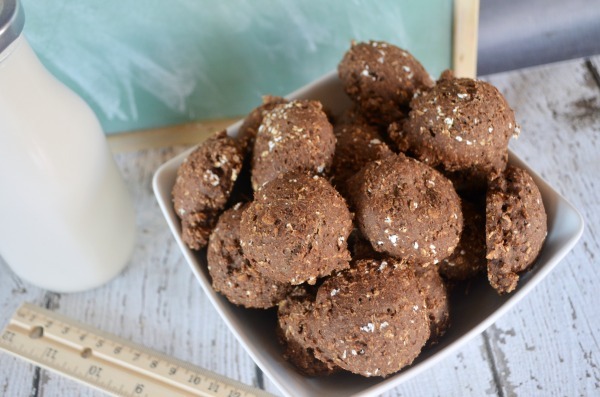 These Chocolate Breakfast Cookies get the big thumbs up from mom AND the kiddos. 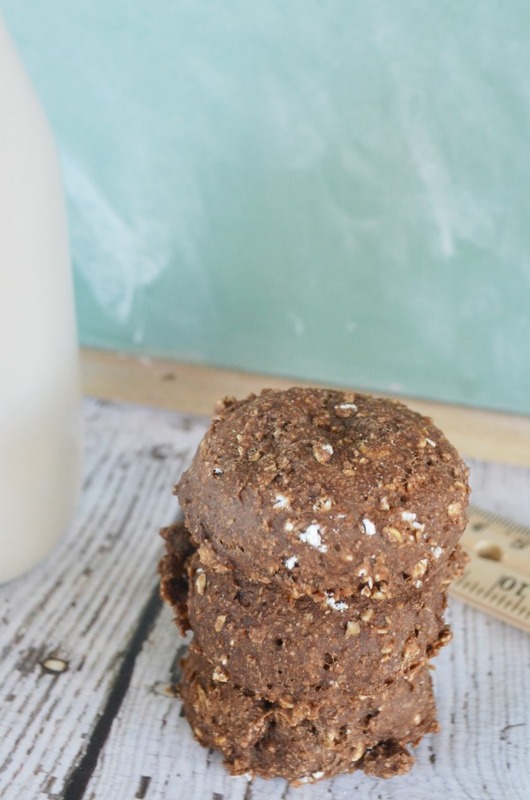 A moist and fluffy mixture of rolled oats, cocoa, and bananas! 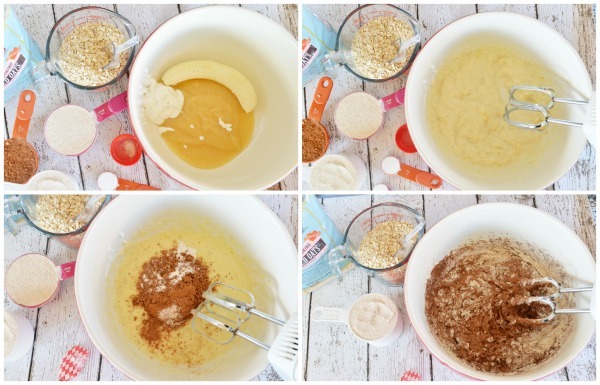 Mash your apples and wet ingredients together. Add the cocoa powder, baking soda, baking powder, and salt. Mix. Slowly add the flour and the oats. Combine until fully incorporated. Drop small spoonfuls onto a parchment lined baking sheet. Flatten with the bottom of a floured cup. Bake 8-10 minutes in a 350 degree oven until firm and the tops bounce back. Mash your apples and wet ingredients together. Add the cocoa powder, baking soda, baking powder, and salt. Mix. Slowly add the flour and the oats. Combine until fully incorporated. Drop small spoonfuls onto a parchment lined baking sheet. Flatten with the bottom of a floured cup. 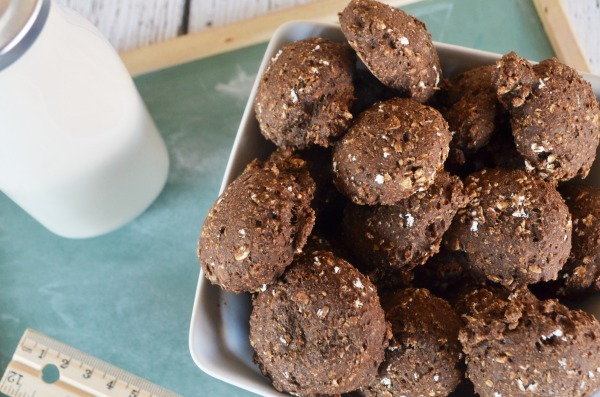 Bake 8-10 minutes until cookies are firm and bounce back when pressed. 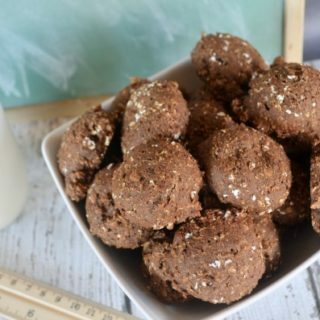 Pair these tasty bite size cookies with a big glass of your favorite almond milk for a delicious and wholesome back to school breakfast. Then don’t forget to grab your coupon for savings on a variety of Bob’s Red Mill products and start your morning off right.